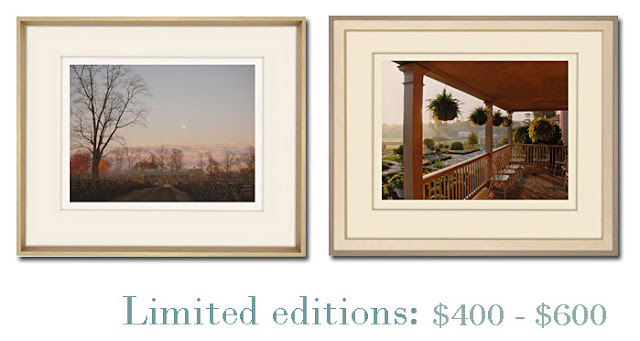 Now's your chance to own a photograph that was snapped by Martha Stewart, herself! Martha Stewart Living has launched a new venture on its website, selling framed photographs taken by Martha in three different price ranges. 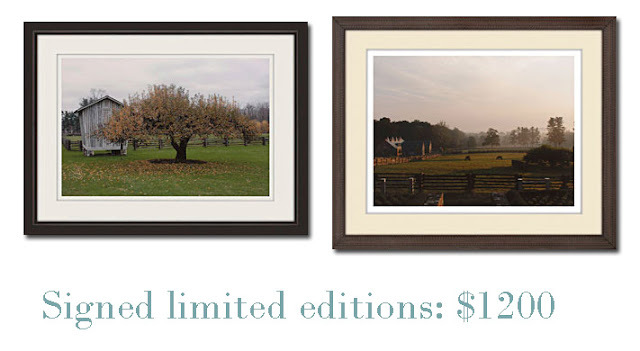 There are three signed, limited edition prints that retail for $1200 each. There are only 100 prints of each photograph and each one is personally signed by Martha. There are eight limited edition prints that retail for between $400 and $600 each. There are only 900 prints of each of these. 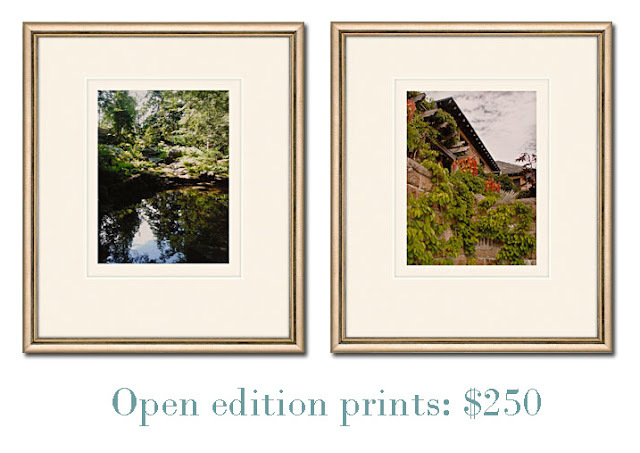 And, at a more affordable price, there are four open-ended edition prints that are selling for $250 each. Each framed photograph is accompanied by a Certificate of Authenticity. This document certifies that this is an approved giclée print from the archives of Martha Stewart’s photographs. Each image is also embossed with her personal Cantitoe Corners insignia, a stylized sycamore tree. The 15 prints currently for sale are only the first batch. There will be more available in the future, including photographs taken by Martha on her travels around the world. The current photos are all taken on Martha's Bedford and Skylands properties: a sunlit porch at dawn, a cascade of vines over a granite wall at Skylands, horses grazing near the stables and unique sculptures on the terrace at sunset. Martha Stewart personally selected each frame and mat to best pair with each image. The all-wood frame is crafted and hand-finished using superior quality materials; archival quality Plexiglas is UV protected to resist fading from sunlight exposure; and the matting and mounting materials utilize Artcare™, a patented anti-aging and anti-yellowing technology to maximize the life of the artwork. Artcare™ archival framing technology has been widely recognized and adopted by top museums and art conservators around the world as a protection against pollutants that might harm print longevity. I'm not sure what the shipping details are yet, but I've asked for more information. The handling of this operation has been outsourced to a new partner of Omnimedia, Neilson Bainbridge in New Jersey. You can browse all the prints at the following link. You can also order a catalog, or download the PDF version to print yourself. Five percent of the proceeds of these art prints will go towards supporting the Martha Stewart Center for Living in Manhattan. She does take pretty pictures....but not for $1200.00!!! It does seem a bit steep, although the signed copies are also much larger photographs than the others. I may spring for one of the $250 prints.